At Home Family Day Care Scheme Pty Ltd is a service operating in the south east district and beyond. With recent changes in the industry we felt the need to get back to the grass roots of what family day care is about: Family! Our service is dedicated to ensuring children will be carefully placed in care with the right dedicated qualified Family Day Care Educator who will nurture and care for the children in a small group setting in their safe and registered family home environment. The Families will become part of our Family, with the Coordination Unit regularly visiting the children and Educator, monitoring their progress, ensuring that the children are happy and learning and are being supported through their day to day activities. We encourage Family participation in child’s learning; we welcome their input and highly encourage their participation. This will enable us to all work collaboratively to ensure each child gets the best from the care being provided. 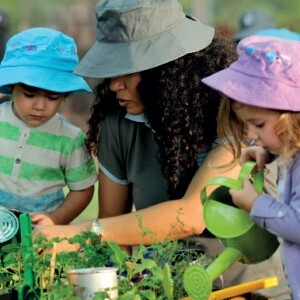 At Home Family Day Care Scheme Pty Ltd operates within the National Quality Framework, which aims to raise quality and drive continuous improvement and consistency in education and care services. Our Coordination Unit is experienced and knowledgeable in the National Quality Framework and is dedicated to ensuring our service and Educators provide quality education and care services to you the Families. At Home Family Day Care Scheme services families in the Brisbane, Logan, Scenic Rim and Redland City Council Suburbs.